ENO Treelympics is for schools and children or youth clubs, including teachers, staff and parents. Schools in the ENO Programme, aim to plant 100 Million Trees by 2017. A commitment that was made in Rio+20 Summit. ENO Environment Online and LEAF International are partners with similar aims, to raise awareness about the importance of Forests. This December, the awards ceremony and seminar took place in Istanbul, Turkey. Rachel Boyle, International LEAF Director was delighted to attend and participate. The ceremony was opened by Ms. Ülkü GÜRSOY, ENO Turkey Coordinator. Ms. GÜRSOY shared inspiring stories and encouraged everyone to continue with their efforts towards creating a brighter future. 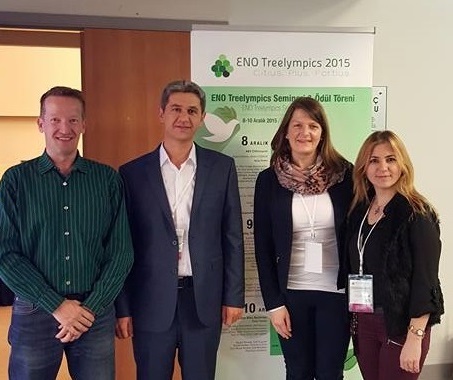 Representatives from the Turkish Ministry of Forestry and Embassy of Finland were also present. Mr. Mika Vanhanan, ENO Founder and Director rounded off the seminars by singing a wonderful song with a powerful message to 'Act Now'. Guests were invited to plant trees on the campus grounds, along with the students, to celebrate the opening of the ceremony. Day 2, Rachel Boyle, International LEAF Director and Fatma KÖLE, LEAF National Operator for Turkey presented the Learning about Forests programme. The seminar also included informative talks from Safak KEMALOGLU, the General Directorate of Forestry Dept., Assistant Prof. Tezcan YILDIRIM, from Istanbul University Faculty of Forestry and Perihan OZTURK from Aegean Forest Foundation and Dr. Pinar Gokcin OZUYAR from Ozyegin University. The day was finished off with inspiring stories from Learning about Forests coordinator and teacher Gülay Gün KUTLU from Eskişehir 1. Hava İkmal Bakım Merkezi Primary School, ENO coordinator, Kenya, and a student from a local ENO school. Day 3, ended with the Award Ceremony at ÖZYEĞİN University, Istanbul Turkey. At the awards ceremony, Ülkü GÜRSOY was recognised for her commitment to raising environmental awareness and the fantastic works she does with ENO and was awarded a gold medal! LEAF/ENO school, Hava İkmal Bakım Merkezi Primary School, Eskişehir, was among the Top 10 schools, their LEAF/ENO coordinator teacher Gülay Gün KUTLU and student, Ilayda Yabaoglu who won the Student Award, for planting 150 trees! 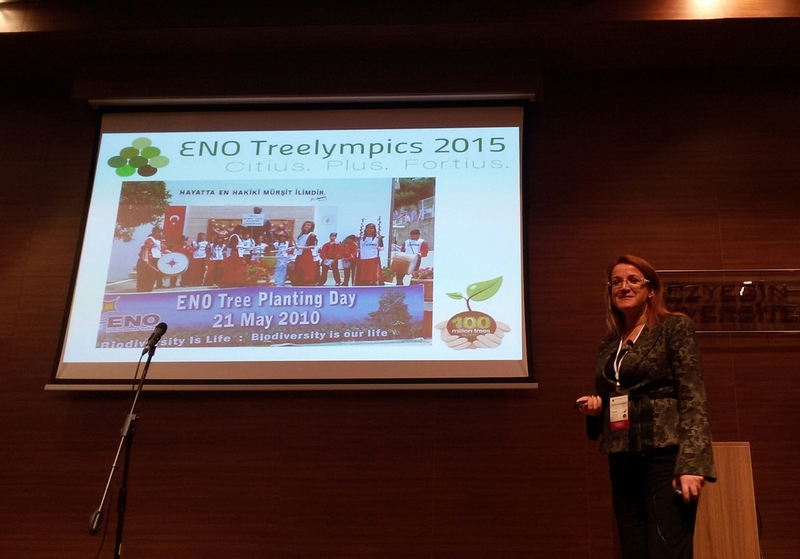 A fantastic few days was had by all, at the ENO Treelympics in Istanbul, Turkey! You can check out the full list of fantastic results on the ENO Treelympics Facebook page.